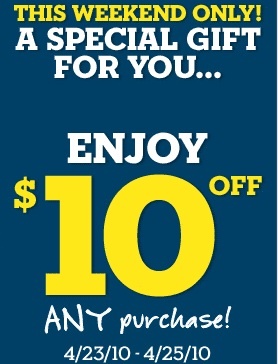 Aeropostale: $10 off $10 Coupon! Aeropostale just released a very high value coupon! 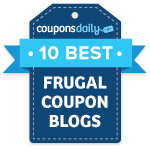 Go here to print a coupon good for $10 off a purchase of $10 or more in-store! This coupon is valid this weekend only, starting tomorrow, 4/23/10–4/25/10.